While U.S. athletes were in London parading their physical prowess, eight American "mathletes" were scoring medals at China’s Math Olympiad. 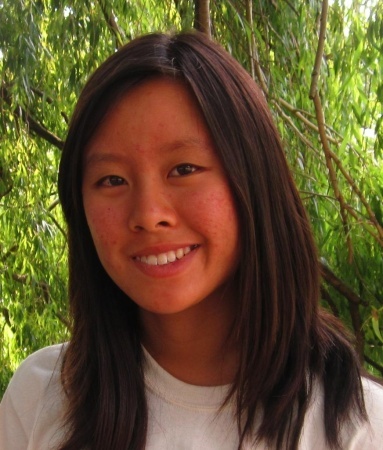 One of them is a 16-year-old from North Hollywood High School, Alica Weng. When I called to speak with Weng, who says she's incredibly jet-lagged from her flight home from China last night, I interrupted her in the middle of her leisure time, doing math. "It was an inequality from a hand-out that I got at the camp." Weng, who's starting her junior year, competed in the girls-only international math competition — China's 11th Annual Math Olympiad. It was held in Guangzhou, the country’s third-largest city. It's a grueling two-day competition where teen math whizzes are supposed to answer eight proofs over 16 hours. If you're saying to yourself, "Meh, that’s not that hard," feel free to take a stab at the test. You’ve been warned. KPCC is not responsible for any loss of self-esteem that may occur as a result of knowing a 16-year-old can solve these and you can't. On the second day of testing Weng says she felt pretty confident about her performance until she got to the very last question. "That," she says, "took me about 2 and-a-half hours." Even then, she still wasn’t able to solve it. Talking with Weng about math — her obvious favorite academic subject — is unlike any math conversation I’ve ever had. She describes solutions to complex problems as "ugly" and "pretty." An ugly solution is: A long solution that takes a lot of computation. A pretty solution is: A clever solution that turns out to be really nice but hard to find. Weng answered seven of the eight questions correctly — enough to earn a gold medal for the U.S. Team, which brought home three gold (with one perfect score), four silver and one bronze medal. All in all, the competition drew 204 girls from 10 countries. As for bragging about rocking the Math Olympiad, that's not likely to happen. She says she doubts anyone at her school has ever heard about it. But that doesn't matter, she says, giggling. "It was the highlight of my summer."